Summer can mean a lot of brights and bold colors, but let’s be honest; the season is short, sweet and fleeting. How to wear more color this time of year? Instead of buying an entirely new summer wardrobe, I’ve learned to embrace bringing color into my outfits through my accessories. I used to buy all sorts of brightly patterned clothing, but found them sitting in the back of my closet for 10 months out of the year, even when I lived in California. 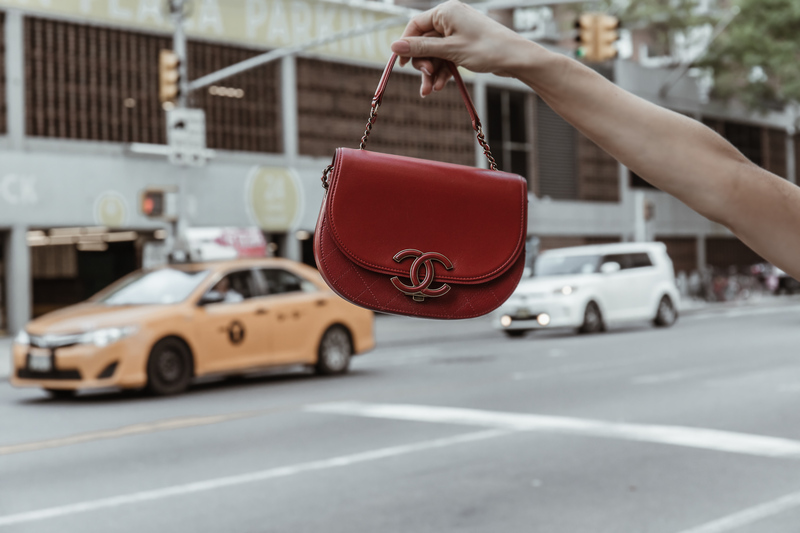 It sounds simple, but for some reason I always have gravitated towards neutral handbags, as I saw them as the more practical option, and would seek out prints and colors in my clothes. In retrospect, I had it backwards. While some bright colors are fun in theory, they don’t necessarily look great against everyone’s skin tone. That chartreuse green or hot pink shade? Instead of trying so hard to make it work as a blazer, I’d much rather rock it year-round in handbag form. 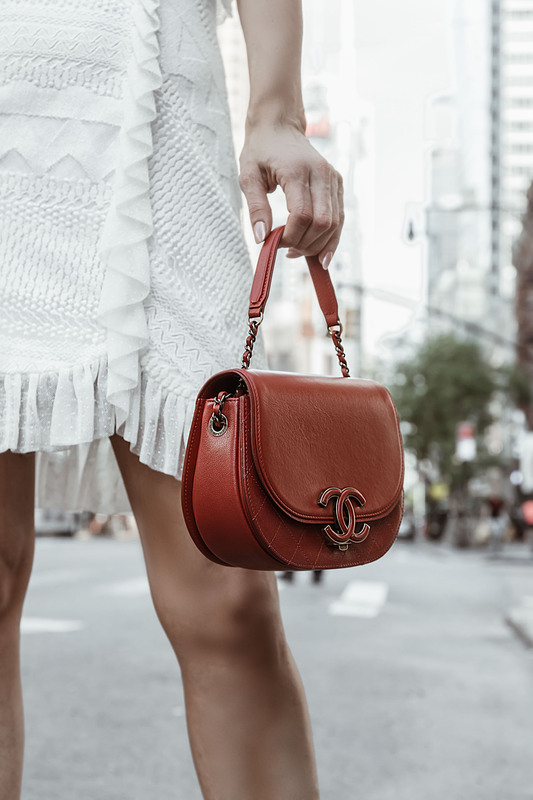 Since I already have a lot of neutrals in my closet that I already love, lately I’ve been incorporating color into my wardrobe through this red CHANEL handbag from Bag Borrow or Steal. The best part? With a bright and bold statement handbag, no one notices if you’re wearing the same shoes or dress. You’re instantly pulled together. This is also a great trick for my fellow brides-to-be, that find themselves splurging, and possibly a bit bored of wearing lots of white and cream-colored pieces. Spice up those outfits with a fun statement handbag – whether it’s colorful, embellished or just out there, you can’t go wrong if it’s something you love. Tell me, what’s your favorite way to wear color in your wardrobe? I would love to hear from you in the comments below!